Use our card operated, high efficiency washing machines and dryers to save time and money! Delicate garments or business attire that needs cleaned? No problem! Drop off your dry cleaning items and we will call you when it is ready to be picked up! Save even more time by having one of our laundry professionals wash and fold your basic laundry, bedding, or linens! 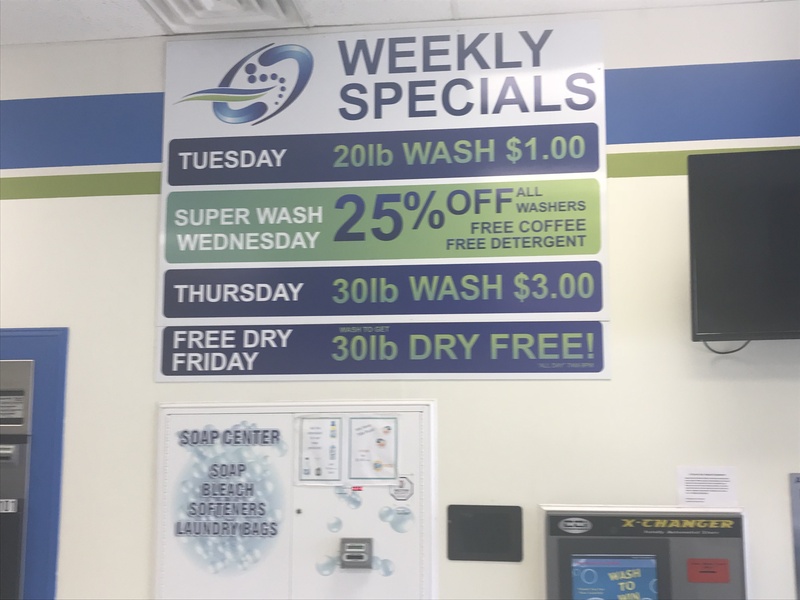 Looking to touch base with a laundry professional? Give one of our attendants a call today!